The face of business is changing with Baby Boomers in the workplace. People who were born between 1946 and 1964 are staying in their jobs longer than their older counterparts did, and the status quo is changing in the workplace. One of the biggest challenges in the workplace today is accommodating the largest growing segment of the working population: Baby Boomers. Today's Baby Boomers are between 54 and 74 years of age. Businesses today not only need to entice and keep younger workers, but they also have to find ways to delay the retirement of the Baby Boom generation. People in this generation represent the majority of managers in American businesses. This group's work ethic is different than the following Generation X group. Baby Boomers have a strong work ethic, work longer hours and weekends and like hierarchical businesses. Younger workers tend to want to work a set work week, enjoy change, hold jobs that are creative and like to be on equal footing with their peers. Baby Boomers in the workplace today may have more flexibility in their jobs than their parents did. Executive management wants to retain these employees as long as possible because of the knowledge they possess. It makes more sense to hire older employees with a wide knowledge base than to hire younger people with less experience. As Baby Boomers phase-out of work, Millenials continue to climb the corporate ladder. These two generations bring diversity to the workplace but can also bring potentially complicated issues. The two generations working together have different communication styles. For example, while Baby Boomers are more likely to pick up the phone to discuss a business matter, Millenials prefer other forms of communication like email or text. Both generations come into the workplace with something to prove; Baby Boomers want to assert their value, just as Millenials do. Neither generation wants to be dismissed as "too old" or "too young" but instead want their voices heard and their positive attributes acknowledged. Baby Boomers and Millenials can sometimes clash on their working style in the sense that Baby Boomers generally prefer to work independently while Millenials prefer a more collaborative workplace. An independent Baby Boomer might be more willing to work longer hours solo in order to get something done while a collaborative Millennial environment might compel more delegation in order to maintain a work/life balance and not place so much burden upon a single worker. Finding a balance between these two styles can result in a productive workplace. More than 70% of Baby Boomers intend to work beyond the years they are eligible for Social Security benefits. For some, this will be a part-time job to ease into retirement while others will work out of sheer financial necessity. Workers that maintain a minimum of 20 hours in their workweek can retain all of their current Social Security benefits. Most employers have an informal phased retirement plan, meaning it can be individualized on a case-by-case basis. This usually works within a typical flex program in most businesses. As Baby Boomers age, they lose some of the stamina they once had for working daily. Slowing physical and cognitive abilities can negatively impact these workers' productivity levels and sharpness. With increasing healthcare costs, Baby Boomers are under a great deal of financial stress and may feel as though they can't stop working even though their body signals it's time. 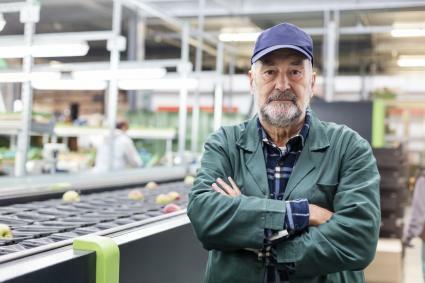 The benefit for employers in using a phased retirement program is that they can retain older workers with more knowledge longer, allowing them time to train their younger counterparts. It benefits employees by allowing them to spend time at work and keep their benefits longer while also enjoying their life outside of work more. Despite how far businesses have come in creating a fair and diversified workplace, there is still age discrimination. This is especially true of individuals trying to start a second career or making a career change later in life. How you look can be a factor, though an unspoken one, in whether you are hired or not. Since age discrimination seems to be increasing, so has the number of age discrimination lawsuits. These lawsuits can be costly to employers - and difficult to prove for Baby Boomers. The Age Discrimination in Employment Act protects workers over age 40 from discrimination in the workplace based solely on age. This generation may be changing the status quo for their age group as well as for future generations in the business world. Employers may have to face an evolving workplace environment for everyone, not just older employees, in order to retain skilled and valued employees. This appears to be a positive change for the future of businesses and for senior employees in the workplace.